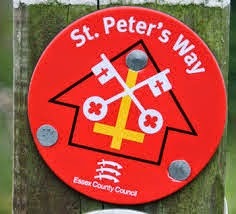 Yesterday was my third running of the St Peter’s Way Ultra, and it was absolutely brilliant. I’m still on a high, and if ever there was a race that reminded me why I love ultra-running, this is it. I've had a few races in the last month – the 66 miles of the Pilgrims Challenge across the North Downs Way, and a marathon distance run at the Hugin Challenge along the Kent coast last Sunday – both of which were excellent events. However, I think yesterday’s was probably the race I've enjoyed most so far this year. I caught a lift to Ongar with Morgan and Marc – two other ultra runners from Billericay – which meant a great start to the day, chatting about the race and what else we had coming up. Morgan’s unfortunately injured at the moment, so he was helping out at a check point, but Marc was aiming for a sub 7 time (which he smashed with an absolutely storming performance!). Anyway, we arrived in lots of time and got kit check done, numbers sorted out and then stood around bemoaning the cold and chatting. The number of runners who didn’t have the compulsory kit was a real surprise – Lindley, the race director, is a stickler for this, and when he says waterproof jacket, he means it, and if spares hadn’t been found for people, they wouldn’t have been allowed to run. However, I’m not really in a position to criticise, having turned up at the Stour Valley Path 100km last year without a survival blanket, risking not being allowed to start myself, had another runner not come to my rescue! Anyway, at 8am, off we trundled, and very excited about it I was too. It wasn’t all easy though, far from it. The first six miles were tough. I could feel the previous week’s marathon still in my legs which were heavy, and my heart rate soared. I kept reminding myself that I hadn’t done enough training and running through my mind was the fear that I was stupid to even consider attempting a run of 145 miles when I couldn’t even run 6! 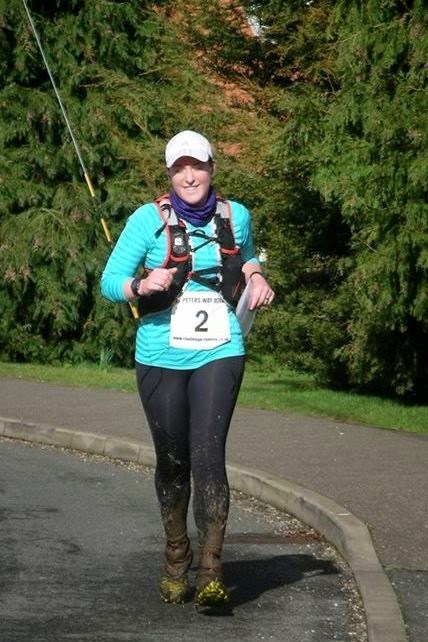 Luckily, once that first section was out of the way, I did start to feel better, although unusually I couldn’t get my nutrition right, and continued to feel tired until about thirty miles in when eventually my body seemed to remember what it was meant to be doing! The course itself was great. It’s generally flat with a few hills to walk up but nothing of much note, and there is a lot of mud! I love the route, and despite everyone moaning about the conditions underfoot and how challenging the self-navigation is, I really enjoy it and feel like I’m on an adventure. There are sections through villages, farms and even a marina, but generally it's across the fields and often with great views of the Essex landscape. 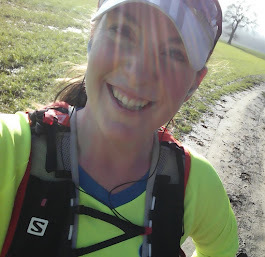 The weather was stunning yesterday too - chilly but bright sunshine, and absolutely perfect for running. I don’t know if it was the result of the caffeinated gels I was taking (alongside the babybel, flapjack, and dried mango I carried with me) but every so often, I had that often talked about, rarely experienced, runner’s high – I just couldn’t have felt happier or more relaxed. 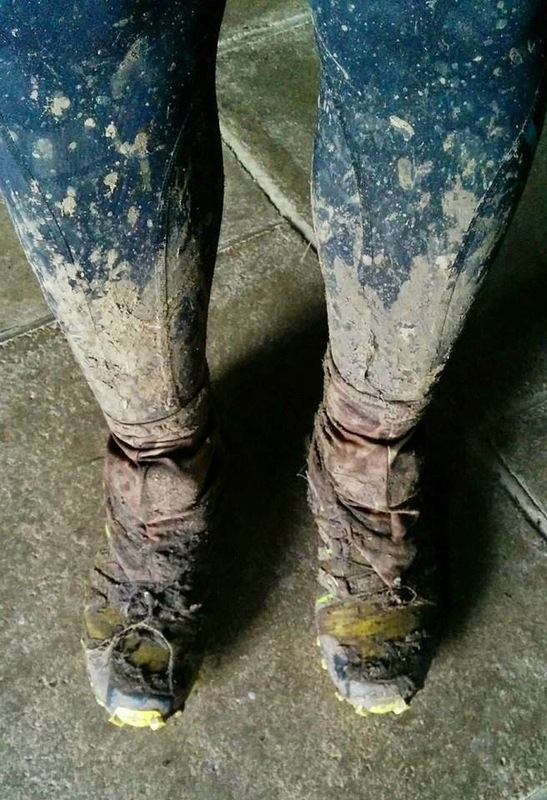 The mud wasn’t as bad as I’d expected, and although at times it was absolutely epic, there were fields that I’d expected to struggle over, that turned out to be runnable. I was feeling a bit anti-social, and wanted to run on my own, so plugged myself into the ipod for the whole race, but at times had to stop myself from singing along out loud! The aid stations were impressive too – very well stocked with all sorts of food, and drink (love an aid station that has water, two types of squash and coke) and most of them were manned by friends so I was well looked after and enjoyed a quick chat. I’ve run the race twice before (and got lost both times) but in the last month had recced a couple of the legs of the route, so generally knew where I was going, but after blindly following everyone else for the first few miles, realised that was stupid and so started also paying attention to my route instructions which made me feel much more in control. By the end of the race, I’d lost count of the number of times I redirected other runners who were taking wrong turns – it’s definitely a race that requires some concentration as the red St Peter’s Way route markers disappear from time to time, and you find yourself stood in the middle of field wondering which way to go! 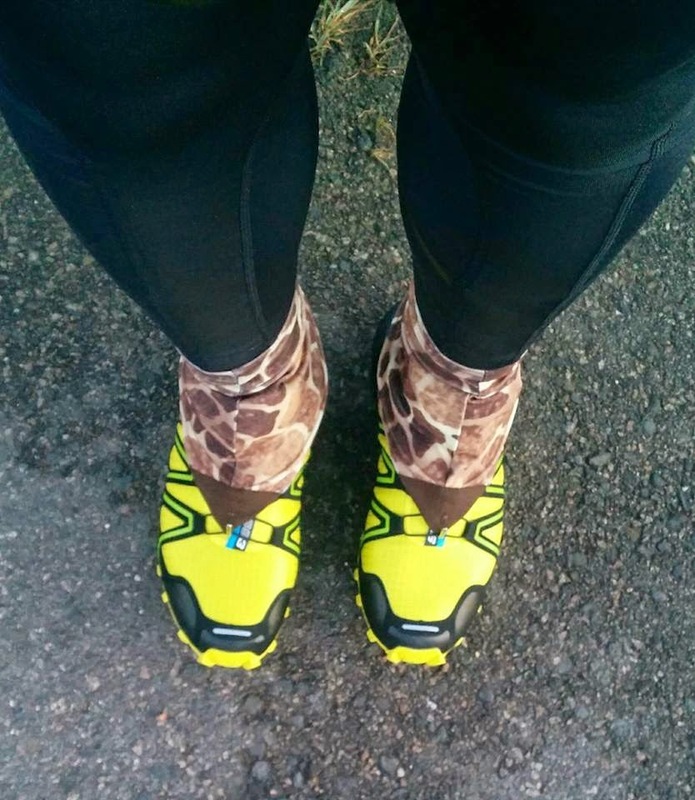 The second half of the race is flatter and less muddy than the first, and I found myself feeling stronger as the day went on, which was very reassuring. The last five miles or so were fantastic – the sun was low and the colours of the landscape became beautifully vivid, and at one point I stopped on the sea wall that you run around in the last couple of miles before the finish at the ancient St Peter’s Chapel and just looked around me, trying to commit to memory how lovely it was. There were very few female runners this year – out of 79 entrants, only 10 were women, and I don’t think everyone made the start. 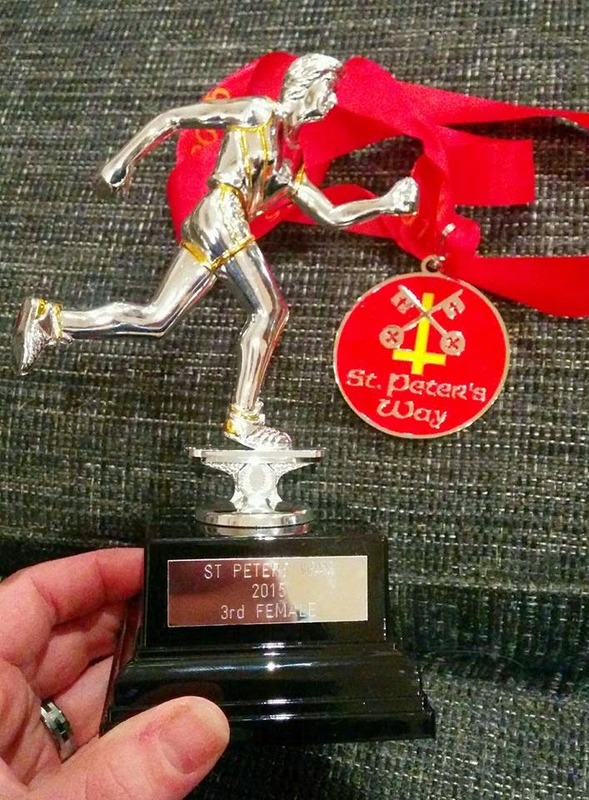 As a result, I ended up managing to bag myself a trophy for 3rd Lady, which I’m very pleased with – it goes nicely with my trophy from the race last year when I was 2nd Lady! However, I was a bit disappointed with my finish time as I ran slower than I had planned – my excuse is last weekend’s marathon. I also saw my pace just fall away as I walked across particularly boggy fields, scrambled across the endless stiles, and spent too long at a couple of the aid stations. I ended up being 27 minutes slower than 2014. I really enjoyed the day, I loved it in fact, and am taking away the positive that I felt strong at the end, and could have quite happily carried on running.